Things are going to get a lot sweeter in Spokane Valley soon, as Sweet Frostings Blissful Bake shop opens a kiosk location at Spokane Valley Mall December 1. The new location, Sweet Frostings' third, will be under the dome on the first floor of the mall. They'll be offering almost every goodie you can get at the other shops...cupcakes, macaroons, cookies and other treats, as well as Sweet Frostings branded merchandise. And to make it easier to get your cupcakes, there's designated Sweet Frostings parking right outside the door. Sweet Frostings' other locations are in downtown Spokane at 15 South Washington, at First Avenue and Wandermere at 12501 North Division. 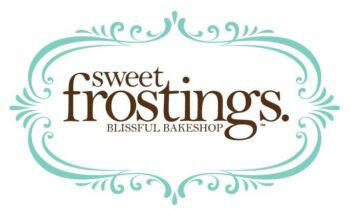 Go to sweetfrostingsbakeshop.com for more details on this fun, delicious business. You can get more than mattresses at Coeur d'Alene's National Mattress store at 6235 N Sunshine St, just off Highway 95 near Hanley. 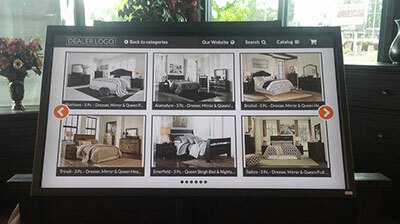 They recently added a furniture kiosk in the store featuring Ashley Furniture and Emerald Home Furnishings. You can select living room, dining room, office and bedroom furniture at a distinct savings. 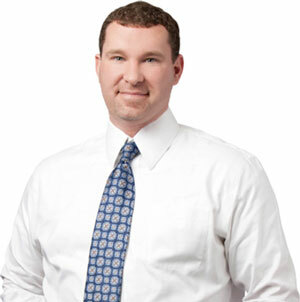 A local and employee owned company, National Mattress was founded in 1999 by Michael O'Neill. Michael is a graduate of Coeur d'Alene High School and a 30+ year veteran in the retail mattress/sleep industry. Prior to opening National Mattress, he worked as a private consultant helping facilitate the opening of more than 70 mattress stores throughout the U.S. and Canada. The store has been voted The Best Mattress Store in North Idaho from 2014-2016 by Spokane Coeur d'Alene Living Magazine. National Mattress regularly donates to several local charities and is most recently involved with Beyond Pink donating a new queen mattress set and sheets/mattress protector and pillows to the silent auction and donating the use of their delivery van for the event. 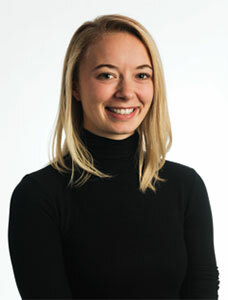 Range has hired Kasey Clemons as Business Development Specialist. Clemons, formerly with Pita Pit USA in their corporate headquarters, will assist with business development for Range, while also completing requirements for obtaining her degree in Business Administration with an emphasis in Marketing from Lewis & Clark State College. Range is a boutique, integrated brand and marketing firm with a client list of all shapes and sizes from Fortune 500 companies to small start-ups from around the world. They have an office in Coeur d'Alene. To learn more go to www.rangeus.com. Grocery Outlet has opened a 17,500-square-foot store in Airway Heights at 10831 W. US 2 at Hayford Road. The store is in the new Hayford Crossing shopping center which also has a Dollar Tree store, Pawn 1 and others. The Airway Heights store is open daily 8am to 9pm. Grocery Outlet is a California-based grocery store chain that was founded in the 1940's originally as Canned Foods Grocery Outlet. Today the chain's 240 or so stores are full line grocers with everything from general grocery to frozen to beer & wine and more. Their stores even have a section they call NOSH (Natural, Organic, Specialty, Healthy) for the more healthier, upscale grocery items one might not expect to find at a discount grocery store. This is the 6th store in the Inland Northwest for the chain. 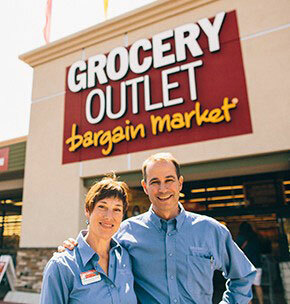 Grocery Outlet stores are located in North Spokane, Downtown Spokane (off of Maple), East Central Spokane, Sprague & Pines in Spokane Valley and on US 95 in Coeur d'Alene. For more information on Grocery Outlet go to groceryoutlet.com. The 'Toasting to Scholars' Spa Reception, sponsored by The Kalispel Tribe of Indians and La Rive Spa is tomorrow night, October 12 from 5-7:30pm at La Rive Spa at Northern Quest. It is an evening of mini-spa services, toasting, appetizers, a raffle and bidding on stellar silent auction items. All proceeds from the event will support regional operations and direct program support for the College Success Foundation - Spokane. The evening will include a raffle for Gonzaga men's and women's basketball tickets and a beautiful necklace from The Ben Bridge Jeweler Spokane store located in River Park Square. Your 'Toasting to Scholars' $25 Spa Reception ticket includes one mini-spa service, light appetizers, wine, one raffle ticket for a La Rive Spa Day, free valet parking and a 20% discount on future spa services. CSF-Spokane provides a unique integrated system of supports and scholarships to inspire underserved, low-income students to finish high school, graduate from college and succeed in life. They provide college and career exploration programs to more than 1,000 middle and high school students at Garry, Glover, and Shaw Middle Schools and Ferris, Lewis & Clark, North Central, Rogers and Shadle Park High Schools. Go to collegesuccessfoundation.org to register. Spokane Breakfast with Champions is scheduled for Tuesday, October 18 at the Davenport Grand Hotel, beginning at 7:30am. This fall fundraiser brings over 450 community leaders, corporate executives, Special Olympics families and supporters together to share in and celebrate the Special Olympics movement. It is the signature event within the East Region, benefiting the 1,402 athletes in Spokane County. This year's keynote speaker is Chevi Peters, an internationally acclaimed Special Olympics Powerlifter. He has competed in multiple World Games and continues to inspire others all around the world with his touching story and both physical and mental strength. For more event details and registration, visit www.specialolympicswashington.org. Paine Hamblen has named Shane D. McFetridge as a partner in the Spokane office. Shane was previously a partner at Lorber, Greenfield & Polito, working out of their Seattle office, where he successfully defended hotels, apartment owners, grocery stores, restaurants, and trucking companies in a variety of matters involving significant claims of personal injury. He has also represented owners, developers and general contractors with respect to construction defect claims involving apartments, condominiums, high rise commercial buildings and single family homes. Mr. McFetridge earned is Juris Doctor Degree in 2002 from Gonzaga University School of Law.